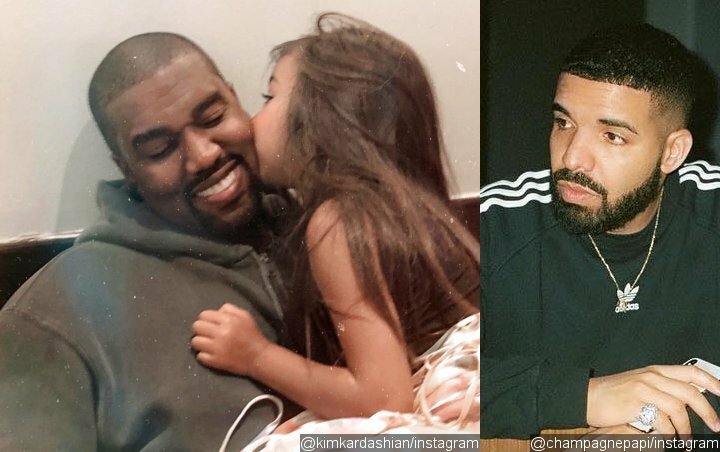 The Yeezy founder shares on Instagram an adorable video of her 5-year-old daughter singing the Canadian rapper’s mega hit ‘In My Feelings’. Kanye West is apparently serious about ending his ongoing feud with Drake. One week after the hip-hop mogul issued an apology to the Canadian rapper, it looks like he realized that a mere apology wasn’t enough to convince Drake. Thus, he got his daughter North to help him. 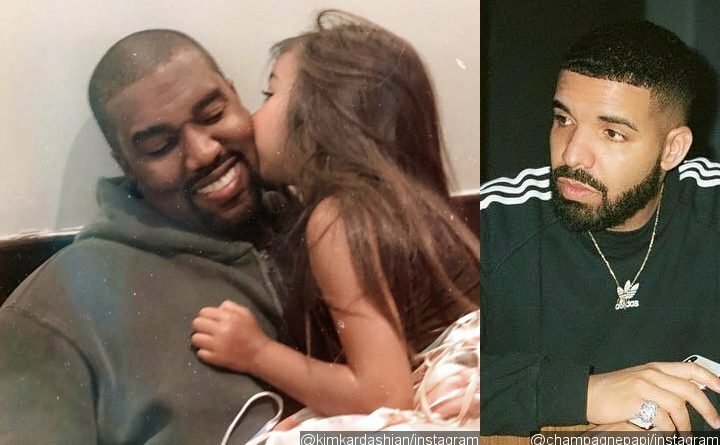 In an Instagram video which he posted on Thursday, September 13, the little girl could be seen singing Drake’s mega hit “In My Feelings”. Even though North didn’t attempt to do the infamous “In My Feelings” challenge, she adorably sang the most viral verse of the song while showing off a bit of dance moves. Last week, Kanye took to Twitter to apologize to Drake. “Let me start by apologizing for stepping on your release date in the first place,” the “Gold Digger” spitter said. “We were building a bond and working on music together, including squashing the issues with Cudi [Kid Cudi] at our office.” He then admitted that he should have worked on “Lift Yourself” together with Drake. While Drake himself hasn’t responded to Kanye’s apology, sources previously told TMZ that the two rappers would likely be back on good terms in the near future. The insiders noted that the “God’s Plan” rapper would not put any sort of “ban” on Kanye if the latter would really come to one of his “Aubrey & the Three Amigos” tour stops. However, the Yeezy founder would not come to the stage.